Part of our job is loading our little darlings up with comprehensible input. The other part of our job is educating students, their parents and our administrators about comprehensible input and language acquisition theory, because chances are they’re expecting a more traditional approach. And I’ve found that if your parents and admin understand CI, you’ll get a lot more support. And the time to inform them in before there’s a concern. Proactive beats reactive every time, people! 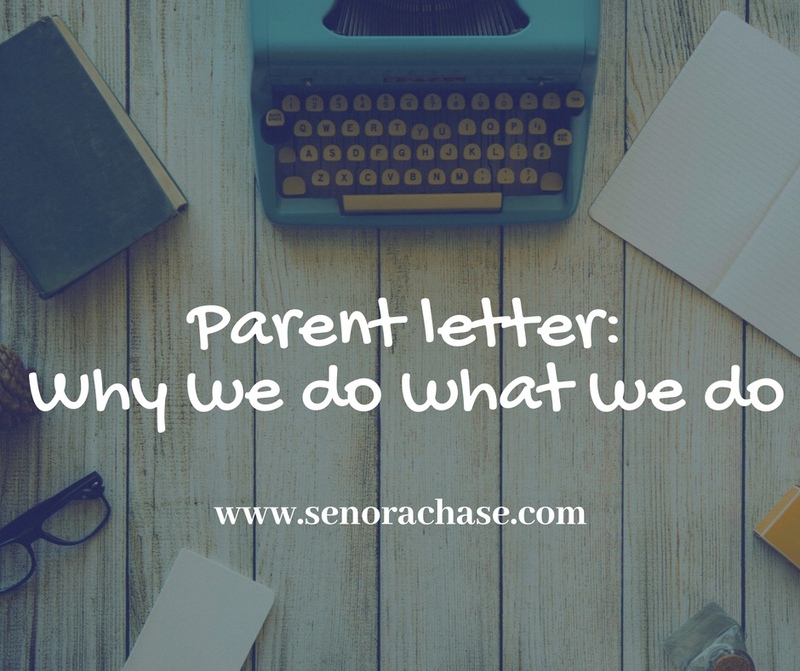 I wrote this letter for parents, explaining what we do in our classes and why we do it in parent friendly language. Feel free to make a copy and edit it to make it work for you! I generally pass it out at Back to School night, so they have something to read while they’re waiting for the fun to begin. But you might want to send it home at the beginning of the year with your syllabus. Speaking of your syllabus…if you’re looking for some inspiration, here’s mine! Are ya’ll back in school yet or still soaking up the last bits of Summertime goodness? My first contract day is Wednesday already (gulp!) and the little darlings arrive the following Monday, eager to lear lots of Spanish, I’m sure. I stopped by my classroom a few days ago to check on it. When I left in June it looked like this. On August 2, it was pretty much a train wreck. The IT elves have been hard at work “upgrading” our internet and leaving a path of destruction in the wake. I took a deep breath, closed the door and I’m just crossing my fingers and saying my prayers that when I open the door next week, the cleanup elves will have done their magic and we’re ready to hit the ground running!